HUT’s plug & play solutions allow you to literally step into the dream Amsterdam life. With 58 select apartments in 4 top city-center locations, just 5 min. walk minutes from Central Station, HUT puts you at the heart of everything Amsterdam has to offer. 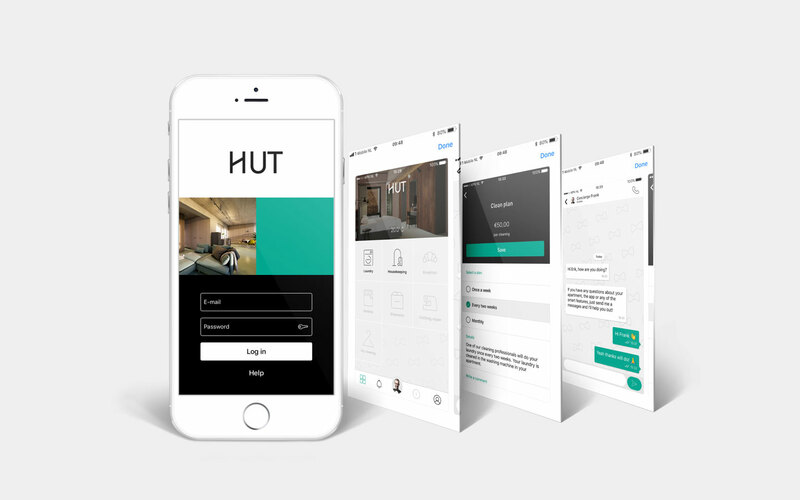 Top notch design apartments by &Prast&Hooft, a range of hotel services on demand, and even a vibrant social life – all are part of HUT’s innovative package. A perfect home from home, that can even be organized with an app. HUT offers 4 apartment types, these include 40 m2 – 70 m2 one-bedroom spaces, or 65 m2 – 115 m2 spaces with two bedrooms. Each HUT is smartly designed with superb attention to detail. If you would like to book a tour, just fill in the form or call us at: +31 20 890 30 99. We will contact you as soon as possible to plan a date that suits you best.